To help women celebrate their always-there-for-you friends — and honor all the special friends she’s made during more than 15 years in Westport — Bonnie Marcus is throwing an open house at her private design studio. From 11 a.m. to 2 p.m. Wednesday, she’s giving away beautiful, personally created Valentine’s (and Galentine’s) Day cards — plus custom-designed chocolates and sparkling lemonade. 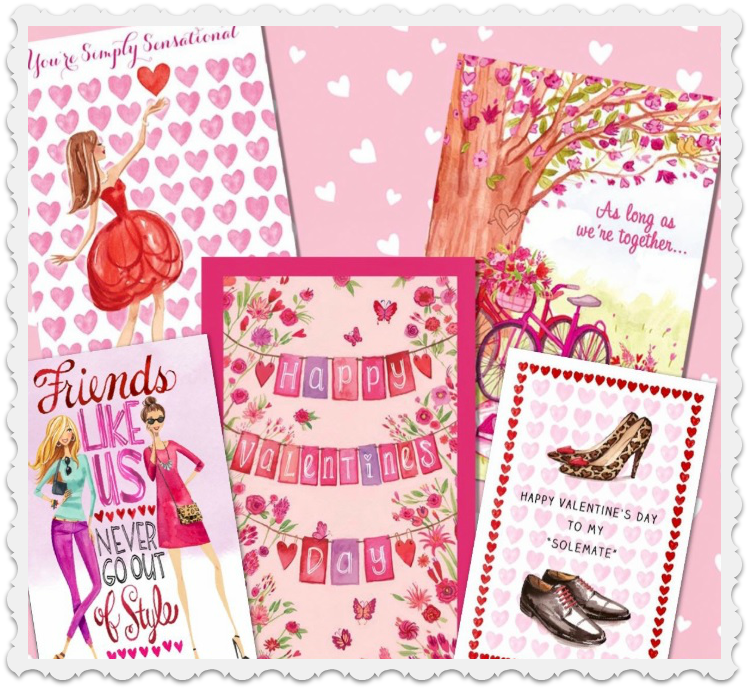 A few of Bonnie Marcus’ many cards. It’s a perfect way to pick up something for a friend who needs a pick-me-up (particularly if she does not have a Valentine). The Bonnie Marcus Collection is at 5 Riverside Avenue. Look for the pink and red balloons next to Arezzo restaurant. * And if you don’t, this is your warning. Stop reading immediately, and buy flowers AND chocolate. ** Don’t believe me? It’s right there on Wikipedia. This entry was posted in Arts, Local business, People and tagged Bonnie Marcus Collection, Galentine's Day. Bookmark the permalink. A big thank you, Dan, for spreading the love!!! We have lots of fun cards to give away (& chocolate to enjoy!) – hope many of you will pop in tomorrow!